My name is Mark McClain. I used to be a lawyer but now work in finance (maybe I’m still a lawyer – not sure). I have 2 children at Burley (Quinn in 4th and Sydney in 2nd), a wife (her name escapes me) and our family loves the Burley community. I got involved with Friends of Burley because I thought FOB stood for “Friends of Brewing” and that it was a craft beer brewing club. If you thought the same thing, stop reading and have a beer. 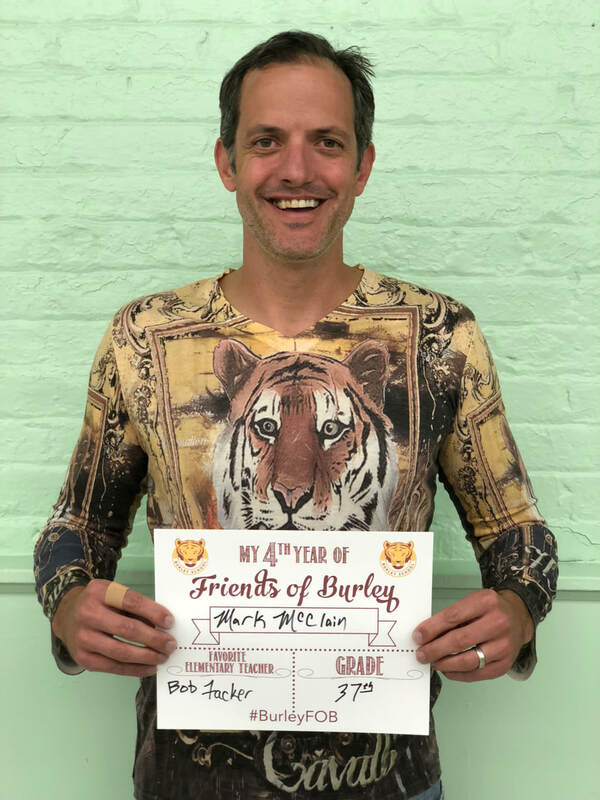 It turns out that Friends of Burley helps raise money for Burley and when my children first started I figured this was the organization that I could make the biggest difference with (plus Jen Moon really pressured me to get more involved). Since joining Friends of Burley, I’ve become one of two treasurers managing the finances of FOB. As co-treasurer I’ve also had the honor of serving on the executive committee and have hopefully had a positive impact on the school. I think one of the best things about being part of Friends of Burley is getting to know parents I might not otherwise have met. Being a part of Friends of Burley has given me a new appreciation for how important parent involvement is at Burley. FOB is committed to continuously improving the standard of excellence at Burley and I am proud to be a part of it. I hope to see you at a meeting soon (maybe we'll brew some beer).